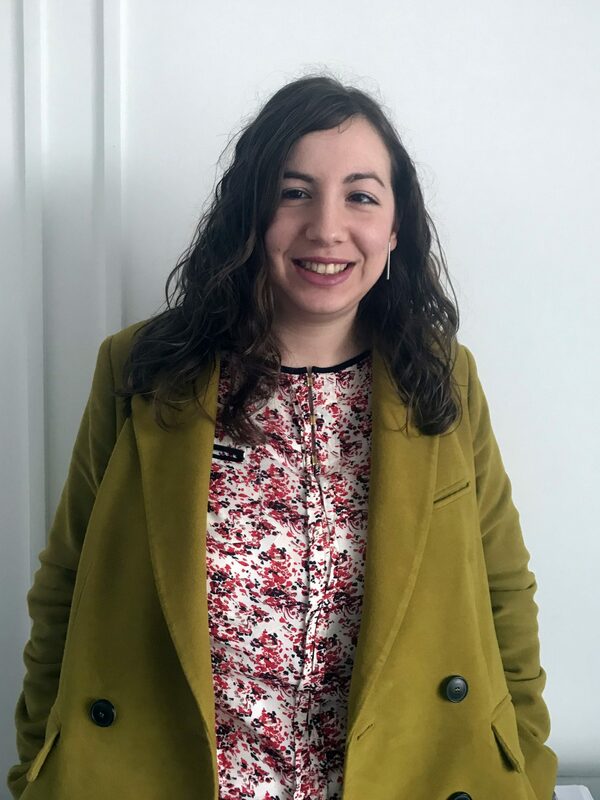 Marta Rodriguez is an MSc Marketing graduate who works as a PR and Social Media Manager at UK Swimwear/UK Tights, the company where she completed her work placement whilst at Salford. We caught up with Marta to find out about her life before university, winning a Big Chip award and her career in marketing. Hi Marta! Tell us what you were doing before joining Salford Business School. I moved to England to improve my English after finishing my undergraduate degree. Before moving to Manchester, I worked as a journalist for a few years in Spain and took part in an Erasmus exchange in Italy. Why did you choose to study at Salford Business School? A friend recommended the University of Salford to me. I was considering a lot of options, but knew I wanted to study marketing. When I looked at the syllabuses for programmes at other universities, I found that they were often too specific, or that I had already covered some of the areas in my undergraduate degree. I found that MSc Marketing at Salford was totally different to what I had studied in the past and the modules included were widely applicable. An international marketing element was also included and this is something I was particularly interested in when considering the programme. I speak Spanish, Italian and a little bit of French, so I thought this could lead to a lot of different opportunities. However, I really liked the Search and Social Media Marketing module and knew it was something I’d like to do in my career. I also found out that a lot of marketers do not like the social media aspect of their role. But for me, it wasn’t like working – it was fun! What was the highlight of your time at Salford? I really liked how easy the lecturers were to approach. I found that all of my tutors really cared about what they were doing. So, if I ever had any questions, they were always happy to help! Even after I finished my degree, they would always come back to me if I had a query or needed help. Dr Alex Fenton, one of my lecturers, actually helped me get the job I have today. When an opportunity came up in the company, Alex suggested I go along for an interview and gave me a great recommendation. I also liked the University campus itself. It’s small, which means everything is together! In such a big city, it’s good to have the library, a café and even a bar all so close together – we didn’t have that in Spain! The Employability Hub was also something which stood out to me. This was something I had never seen at other universities, and I’ve been to 4 others! They help you to develop your CV and I really found it useful. When I applied for the award, I was careful to explain how my research had helped the company. For instance, my managers at UK Tights/UK Swimwear already knew that a lot of our customers were men, however, they didn’t know what proportion were men, or why they were buying our products. So, I looked into this through my research. I found that around 40% of our customers were male and that in most cases they were buying our products for themselves. We were then able to put this insight into practice through our marketing. Knowing that a large section of our target audience is male affects the way we speak to potential customers. We now try to be gender neutral in any website copy, blog posts or social media activity. The insight into our customers helped every aspect of the business and we took the same approach when developing the social media channels for the company. When looking at the demographics of our social media followers, I found that we had a lot in Russia, Turkey and the USA. However, the majority of our customers were UK-based. By making sure our social media posts were better targeted toward UK users, I was able to improve our engagement with our target market. During my placement, we reached out to fashion bloggers and were even given an award by one of them. Both the Guardian and the Independent featured us in articles and our company website still benefits from the links with these high-quality domains today. I am the PR and Social Media Manager at UK Swimwear/UK Tights and even have an intern who supports me. As a small company, we are given a lot of creative freedom in our roles. How did your programme at Salford Business School prepare you for your career? First of all, studying at Salford really helped me with my English and with my self-confidence. Before the course, I was worried that my English, especially my technical-English, wouldn’t be good enough. This meant that I wasn’t confident enough to apply for jobs that I was interested in. Also, maybe because I was a little older than many of the students who went straight into a master’s after completing their undergraduate degree, I knew exactly what I wanted from the experience. I only applied for MSc Marketing because I wanted a career in marketing. When I finished the programme, I was motivated and had really good marks. Because the programme covered so much, it gave me a wide range of knowledge. Even with more technical aspects of marketing like SEO, the course gave me the background knowledge to understand key concepts. Thank you to Marta for taking the time to talk to us about her experience at Salford Business School. For more information about getting involved with a work placement, head to the Business School website.